ICE’s main engineering oﬃce in Galati is located a 3-hour drive from the nearest international airport in Bucharest, the capital of Romania. Safe and eﬃcient transportation to and from the airport is an important part of our image so we are striving to ensure comfortable and expeditious transit for our many international visitors, oﬀering clean and secure cars, timely pick-up, polite English-speaking drivers, etc. 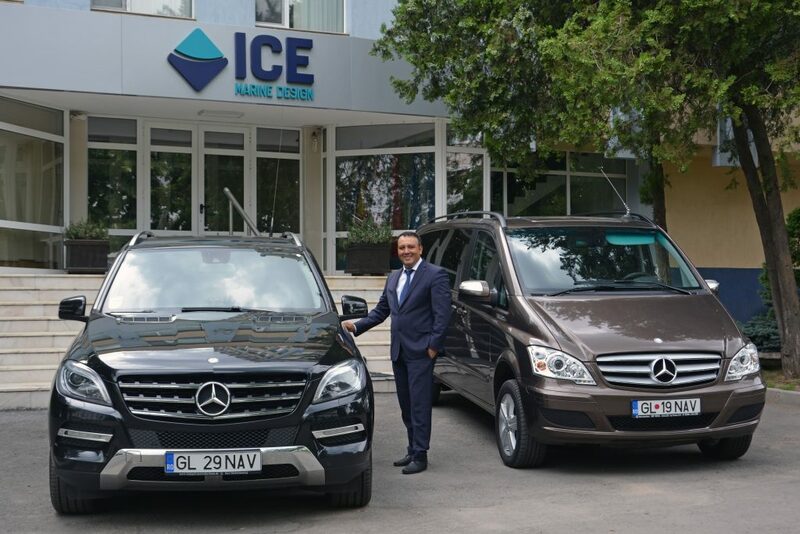 Lucian Cobzaru (pictured here) is ICE’s main driver and will be a familiar face for most of ICE’s visitors. He has many years’ driving experience and has successfully completed an accredited defensive driving course. He receives many compliments for not only providing a safe and comfortable transit but also for his conversational skills that makes the trip feel shorter than it is.